On 8/7/17, the incomparable Betsy Bird kindly unveiled the cover of my next book, Fairy Spell, edited by Jennifer Greene at Clarion, illustrated by Eliza Wheeler, and due 4/24/18. In 1917, by a stream in England, 16-year-old Elsie took a picture for the first time. It showed her 9-year-old cousin Frances…and a group of fairies they insisted were real. Their parents suspected a trick but did not know how children could have pulled it off. When Arthur Conan Doyle, creator of famous detective Sherlock Holmes, took interest, the world followed. But what became one of the most reproduced photographs in history hid a secret that Frances and Elsie revealed only in old age. 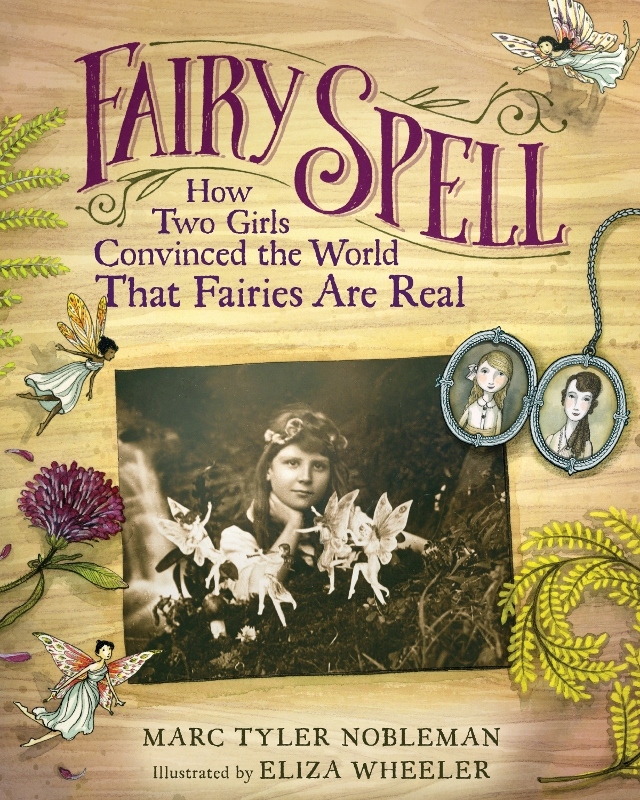 This true story is both magical and mysterious…whether or not you believe in fairies. By the way, I did not call Betsy "incomparable" as quid pro quo for her using the humbling words "superteam" and "inestimable." I often describe Betsy with words starting with "i" (immeasurable, invaluable, irrepressible, instoppable…).